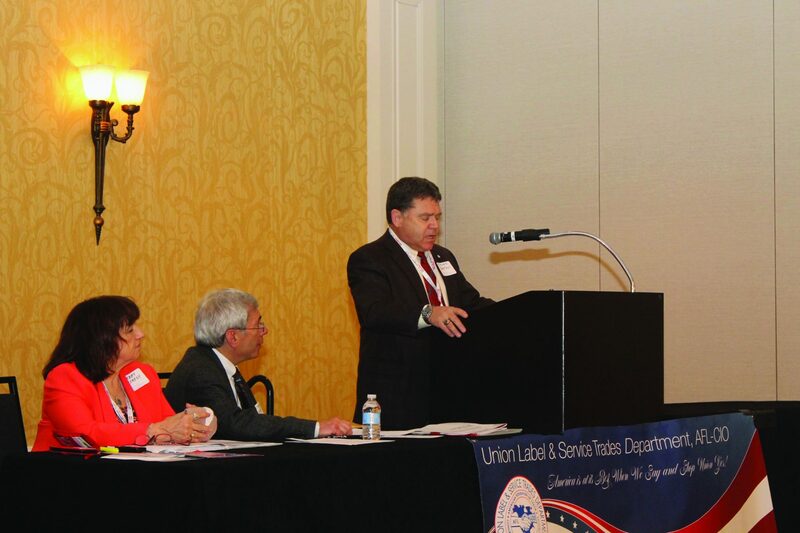 Mike Louis, Missouri AFL-CIO president welcomed delegates and guests to the UL&STD 70th Convention. 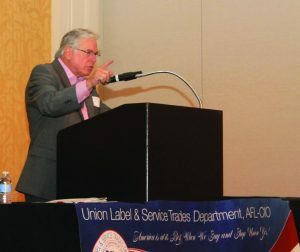 The Union Label and Service Trades Department’s 70th Convention’s message was clear to all who attended: We must use the power of the boycott and the power of solidarity to achieve improvements in workers’ lives. Speeches from Missouri AFL-CIO President Mike Louis, APWU President Mark Dimondstein, and BCTGM Secretary-Treasurer Steve Bertelli repeated that message. The Convention, held on October 21, 2017, in St. Louis, convened with an Executive Board meeting and luncheon in the morning, where some pre-convention planning and minor business of Union Label 70th Convention Focuses on Power of Boycott, Union Solidarity the Department was discussed among attending board members. 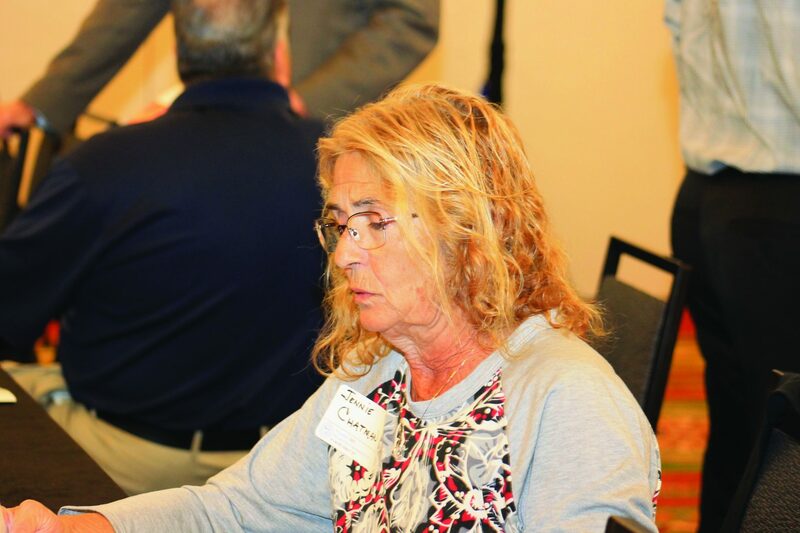 Members were reminded of their assignments to some of the Convention committees and newer members were introduced to each other. The full Convention convened at 1pm with rousing introductory remarks from Mike Louis. Louis, as president of the Missouri AFL-CIO, is overseeing a giant effort to beat back right-to-work in the state. The state Federation turned in a petition with 310,000 signatures – three times the amount needed – to put the socalled right-to-work law on the ballot in November 2018. Staples and the Postal Service backed off the plan after more than three years. “We took away three main lessons from this campaign. 1. You got to believe that workers can win. Workers can understand these issues and get involved. 2. We can’t be afraid to take it to the streets. Members must stand up and do something in their own interest. 3. We’re not alone and we can’t win alone. the Nabisco 600 campaign that BCTGM members have been participating in. 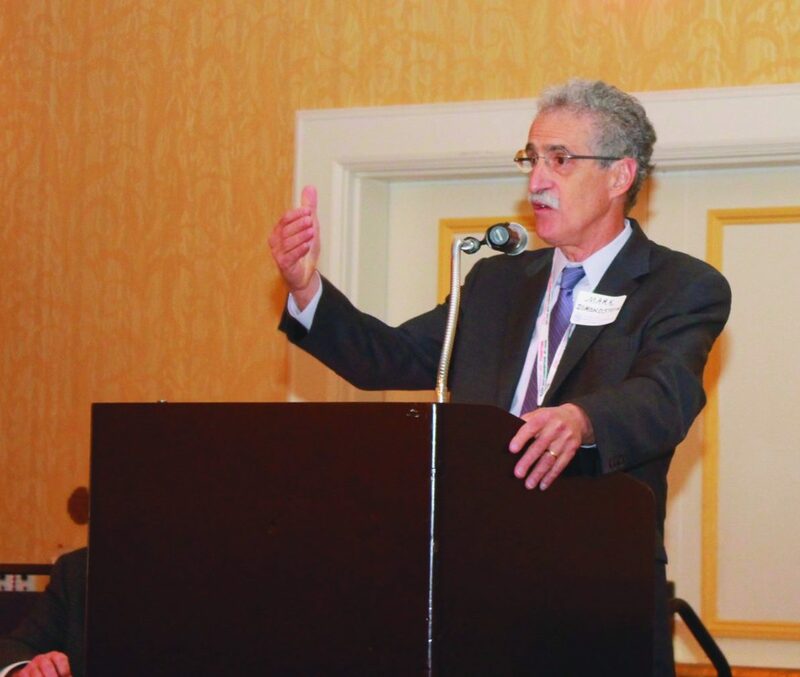 Steve Bertelli from the Bakery, Confectionery, Tobacco Workers and Grain Millers’ International Union, recounted the story of the Nabisco-Mondelez 600. Last year, Mondelez International (Nabisco’s parent company) chose to outsource some 600 jobs from its Chicago Nabisco bakery. In the same year, its CEO, Irene Rosenfeld, made $16.7 million. The workers have launched what they call the Nabisco 600 tour, taking their stories to local unions, college campuses, and congregations. Reps. Nancy Pelosi and John Lewis fully committed to help, said Bertelli, and told the union to “think big.” When taking their story to congregations, the workers are railing against the immorality of harmful worker policies and the effects of the Nabisco model on working families. “We’re certain her replacement doesn’t want to deal with this,” added Bertelli. “Solidarity! That’s what we’ve asked for and you have delivered,” finished Bertelli. Union Label & Service Trades Council, Inc.
Kline referred to the growing trend of state and federal legislatures considering, and in some case passing, laws disallowing the right to boycott, conduct street demonstrations and protest. These bills and laws vary in numerous respects, but they share a common goal of scaring people away from participating in boycotts meant to protest Israeli government policies. Such laws could be dangerous models for anti-union measures. “We must be vigilant in the defense of our right to lawfully protest, to dissent and to influence policy, corporate and governmental,” finished Kline. 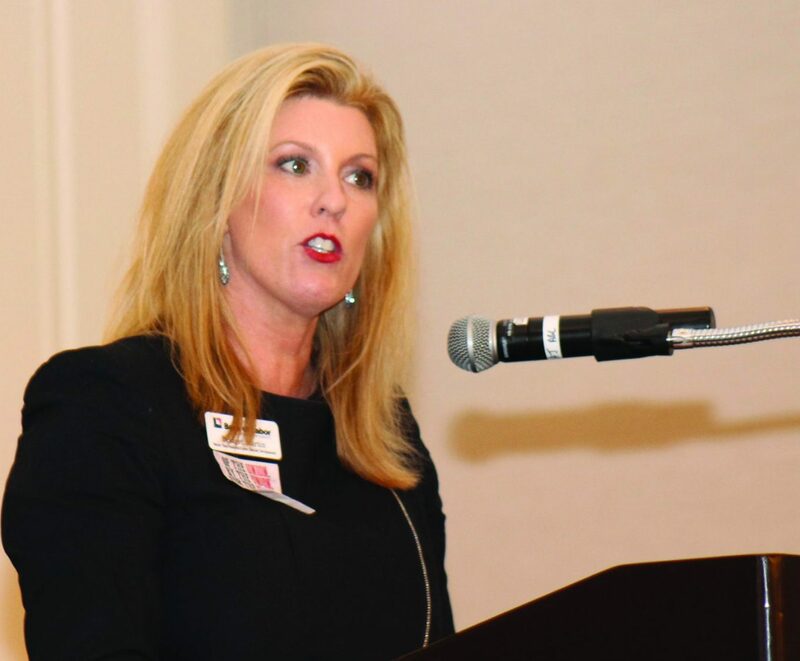 A financial report from ULSTD Secretary-Treasurer Debbie Szeredy followed Kline’s remarks. After the financial report, resolutions amending the constitution and enforcing the Department’s messages were introduced and passed by Delegates. After the Resolutions, the Convention attendees elected the officers to the Department. President Kline, Secretary- Treasurer Debbie Szeredy, and Vice Presidents Steve Bertelli, Kenneth Cooper (IBEW), Otis Ducker (AFM), Bernie Evers (Ironworkers), George Galis (IUPAT), Loretta Johnson (AFT), Patrick Kellett (Pipefitters), Edward Kelly (IAFF), Mike Linderer (IBB), Richard McClees (SMART), Nicole Rhine (NALC), Carlos San Miguel (IAMAW), Bruce Smith (GMP) and James Woods (IATSE) were reelected by acclamation. Dan Duncan, Executive Secretary-Treasurer of the Maritime Trades Department, presided over the election. Bridget Martin made a presentation to Convention delegates on behalf of the Bank of Labor. The Convention adjourned in the early afternoon.